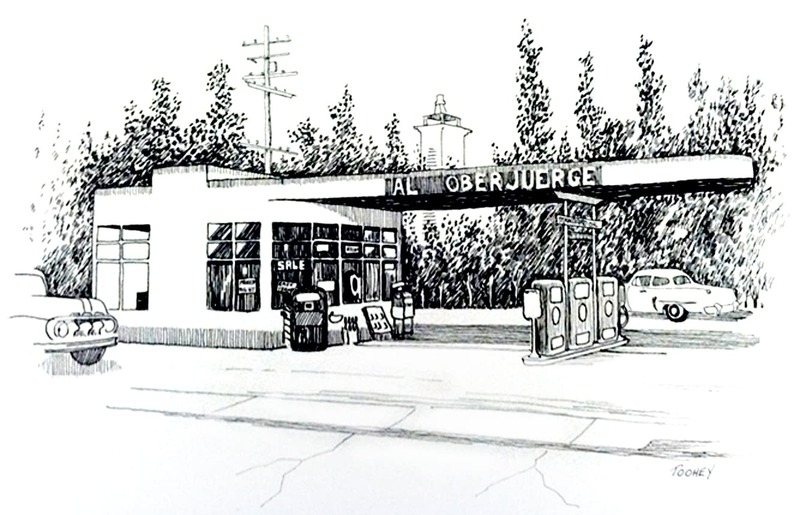 An artist's rendition of what the original Oberjuerge Auto Repair shop looked like before it was expanded and gas services removed. 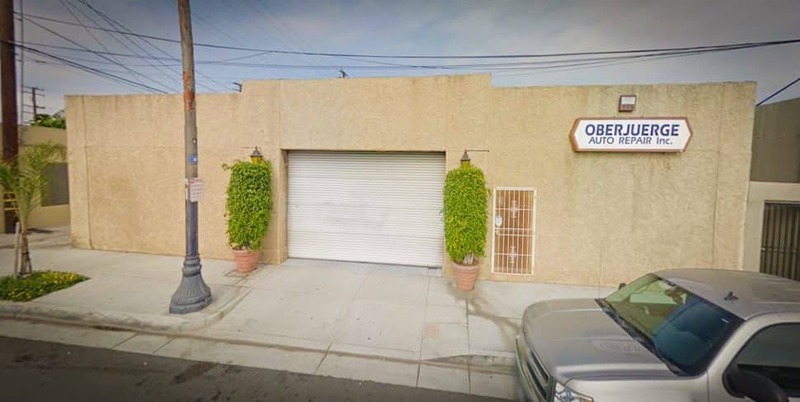 Oberjuerge Auto Repair—and by extension, the Oberjuerge family, which has kept the business during its entire span of operations—has served the Long Beach community for over 65 years. But Alan Oberjuerge is not only ready to retire, he’s also confident in giving the keys to newbie brewery TrustedGut, as first reported by the Gazettes. Perhaps the saddest part will be the fact that TrustedGut will largely be taking over what is essentially an auto garage—after they stopped selling gas and in order to accommodate more cars, independent stations across the state converted their spaces into formal garages in order to take on more clients—and not the original one pictured in the artist’s rendition above. The representation of 1950s cool, the original auto repair shop looked like an Edward Hopper painting. Oberjuerge Auto Repair as it currently sits. Courtesy of Google. Formally closing up shop last week, Oberjuerge’s garage was not only the reflection of husband-and-wife team Alden “Big Al” and Sally Oberjuerge’s experience running Chevron stations throughout Long Beach, but also a representation of a time that is largely beginning to fade away: Classic, all-American car service stations—stations, mind you, that thrived throughout the entirety of Long Beach and especially in Belmont Shore and Belmont Heights, where Cadillacs and muscle cars alike would roll along Ocean or Broadway for the simple act of cruising. Opening in 1972, it wasn’t Big Al’s first foray into manning a station, as he owned and operated a Standard Oil station (now commonly known as Chevron) in 1952, running it for five years after he began to operate the space at 228 Redondo Ave. After that, Big Al focused solely on the Redondo shop until he passed in 1995, leaving his son to run the business until this year. TrustedGut is expected to open next year.